For many big and/or technical projects around the home, building departments require permits for the work. Many of these permits must be obtained by licensed tradespeople, such as electricians or plumbers. However, in many areas, homeowners can take a test to qualify to obtain a permit themselves and to perform the related work without using a professional. The homeowners' electrical test is one of the most common types of these tests. Where Is This Exam Offered? Homeowners' electrical tests are given by the local building authority or permitting office. This is usually part of the city or county building department. You can contact your city or county office for more information. Be aware that not all building authorities offer homeowner exams or allow homeowners to perform electrical work themselves. Is It Hard to Pass the Exam? Even though the exam has very few questions--usually between 10 and 30 questions--there is definitely a risk that you will not be able to pass the test. It is not unusual for homeowners to fail the test on the first attempt. If you do fail a test, there may be a waiting period before you can retake it, although this may be very short (30 minutes is not uncommon). Why Do Authorities Offer a Homeowners' Electrical Exam? Reasons vary. Certainly, the safest route is to hire a qualified, licensed electrician, especially for complicated jobs. But perhaps the building authorities are simply being practical about the matter. They know that homeowners may sometimes try to do their own wiring, often with disastrous results. By offering the test option, the authorities are adopting a middle-ground approach. It's not as good as a licensed electrician, and not as bad as know-nothing DIY electricians wiring their homes and starting fires. The homeowners' electrical exam allows for the municipalities to set some kind of standard for the amateur electricians. What Type of Work Can You Perform After Passing the Electrical Exam? In most cases, homeowners are limited to specific projects within their own homes, and they can work only on a single-family residence; they cannot work on condominiums, townhouses, or other multi-unit dwellings. Electrical exams typically apply to specific types of projects covered by a specific electrical permit. Therefore, it is important to get all the details about what the test qualifies you to do. You don't want to go through the trouble of studying for and taking the test only to find that the work you need to be done cannot be permitted or performed by a homeowner. Also be aware that permits have an expiration date; accordingly, the qualifications awarded by the homeowners' exam are valid for a limited time. 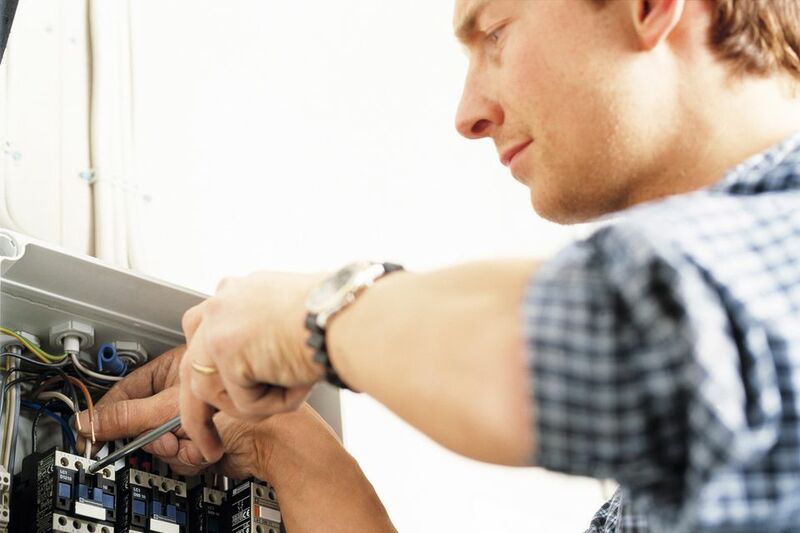 The homeowners' electrical test is usually based on the latest version of the National Electrical Code (NEC) and local electrical code requirements. Because local authorities are free to make changes to the NEC recommendations, you may need to be aware of these changes. The NEC provides a basis--but not a prescription--for individual municipalities' own electrical codes. Is It an Open-Book Exam? Typically, this is an open-book test, but the only "book" allowed may be the NEC. Copies of the NEC may be available to borrow during the test, or you may be able to bring in your own copy. Because NEC rules can be highly technical and often are open to interpretation, it is a good idea to use NEC study guides to prepare for the test, along with any information you can obtain on local building code rules. Study guides most likely are not allowed during the test. Are There Different Kinds of Examinations for Different Kinds of Work? If your city offers a homeowners' electrical exam, chances are it also offers similar tests in one or more additional categories, such as plumbing and HVAC. There may also be tests for specific large projects, such as kitchen remodeling or new home construction.